Once a job is sold most of our competitors stop here and start patting themselves on the back. Not at V Sign Software. We know that’s only half of the job. 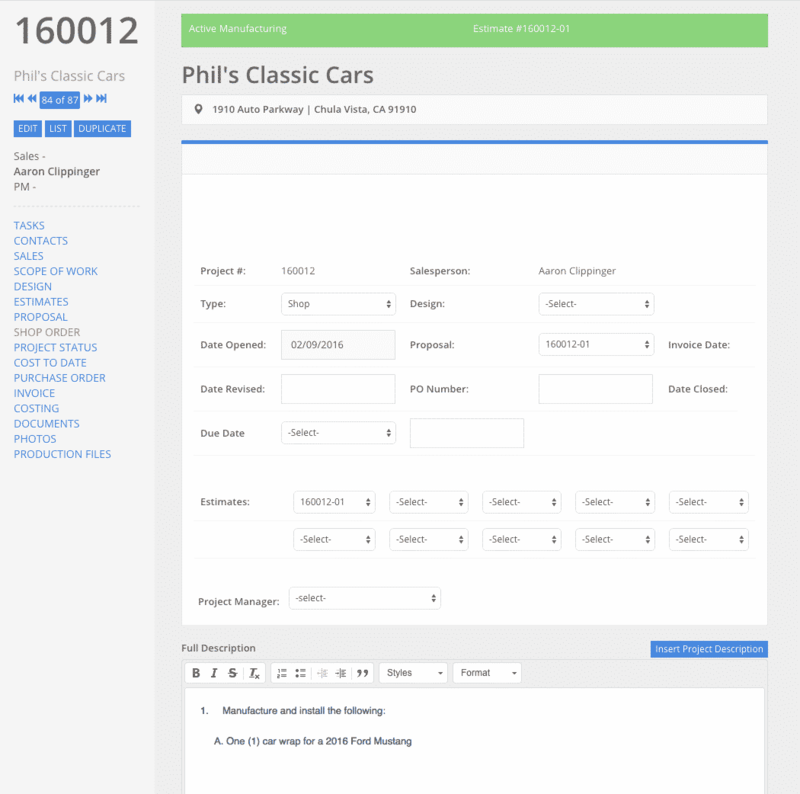 Once a job is sold the user can then “submit” the project to the shop for production. This one step process will have the user tell the shop what estimates to use, which designs the shop should be working from and when the project should be scheduled to be complete. Transparency is the greatest ally in getting a project completed on time. V Sign Software brings awareness of this and communicates to all users when the client is expecting their new sign.